Before we move into the late ’60’s and early ’70’s, here’s a beautiful decorated sweater meant, mostly, for evening wear. It is fully lined in silk with black beads and spangles decorating front and back. Made in Hong Kong, the quality is a cut above many garments made elsewhere. This seems to have been the case for many decades. 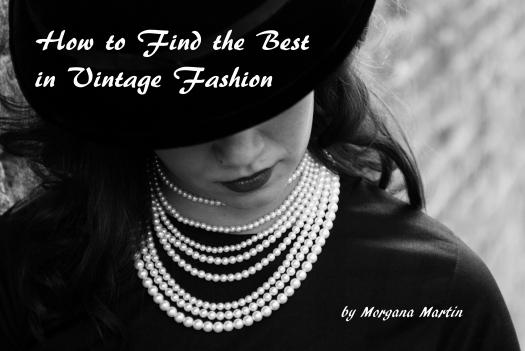 It’s another one of those classic garments that is a must-have for any vintage wardrobe and, maybe, more than one. Though this was particularly true for garments made several decades ago, I still take special note when I find modern clothing that has been made in Hong Kong. The materials and tailoring are almost always excellent in garments made there.. There is no wrap more elegant, excepting perhaps a wonderful vintage fur, than a beautifully-made hand-decorated fine wool cardigan thrown over your shoulders. It can be worn in many ways and will never let you down. Posted on February 13, 2017 by Morgana Martin, the magicvintagespy. This entry was posted in bead-work, beaded, blogger, buy, buying, cardigan, cashmere, classic, classic clothing, clothing, cocktail party, cocktails, custom-made, decorated, dressy, early 1960's, elegance, elegant, fashion, find, guidebook, hand-made, hand-tailored, handmade, Hong Kong, how to, I Love Lucy, Jackie O, Kennedy era, knit, knitwear, Mad Men, magicvintagespy, mid-century, photos, Post-war, references, retro, shopping, store, stores, sweater, true vintage, Uncategorized, vintage, vintage accessories, vintage blogger, vintage clothing, vintage expert, winter, women's, wool and tagged '40's, '50's, '60's, 1950's, 1950s, 1960's, 1960s, autumn, ´50´s, ´60´s, bead-work, beaded, blogger, buy, buying, cardigan, cashmere, classic, classic clothing, clothing, cocktail party, cocktails, custom-made, decorated, dressy, early 1960's, elegance, elegant, evening, fashion, Fifties, find, Forties, guidebook, hand-made, hand-tailored, handmade, Hong Kong, how to, I Love Lucy, Jackie O, Kennedy era, knit, knitwear, ladies, long-sleeved, Mad Men, magicvintagespy, Magicvintagespy.com, mid-century, photos, Post-war, references, retro, shopping, shopping tips, shopping-tips, Sixties, store, stores, sweater, true vintage, Uncategorized, vintage, vintage accessories, vintage blogger, vintage clothing, vintage expert, winter, women's, wool. Bookmark the permalink.